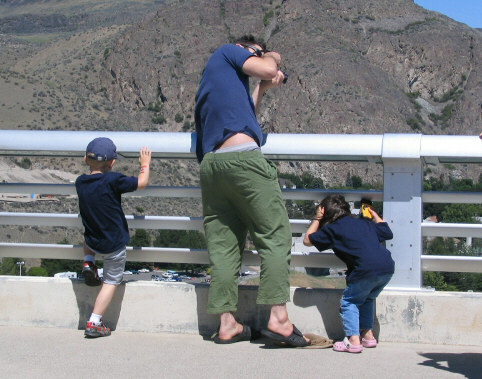 We were told that the Grand Coolee dam stood in the way of anything happening in Canada. So, we set a goal to take a trip to the Grand Coulee. 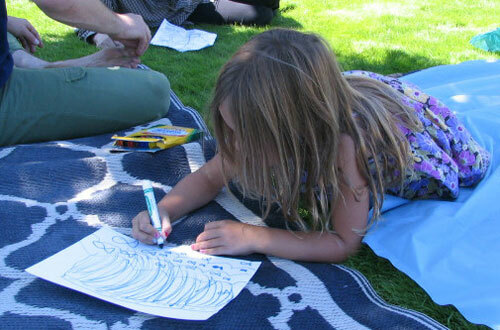 We held a "cookie-rama" fundraiser that paid for five families to take a weekend field trip to the dam. 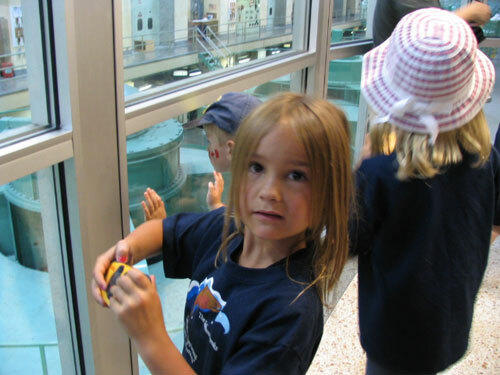 We visited the Grand Coulee Dam Visitor's Centre and the Colville Tribal Museum. Our next goal? Go to the place that started it all and took away our salmon. What will it take to bring them back? We need to tell them how we feel. 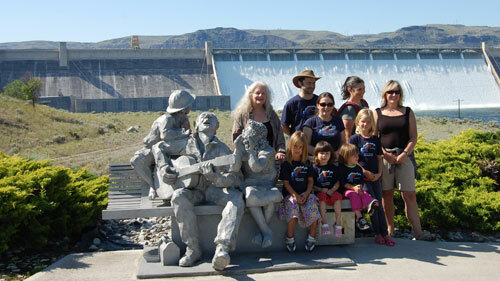 Grand Coulee Dam: What is the story? There is enough concrete in the Grand Coulee Dam to build a 60 foot wide highway four inches thick, from Los Angeles to New York City! 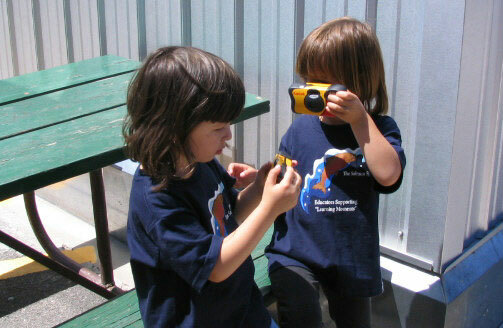 "We're taking pictures of lots of things to show everyone when we come back." We looked, we felt, we listened, we asked: "Where's the salmon?" 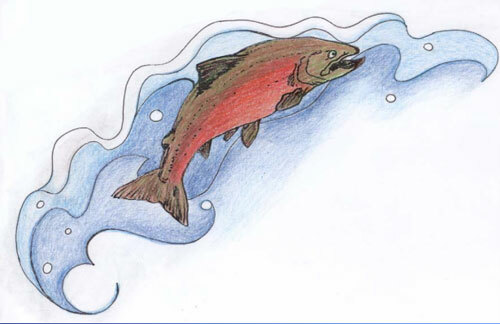 "I'm drawing the salmon waiting at the bottom of the dam. They want to go home. They're waiting for us to help them." They tried to protest the construction but were ignored. Many of the elders could not believe such a flood could occur and would not leave until the waters began to rise. We were not human to them." 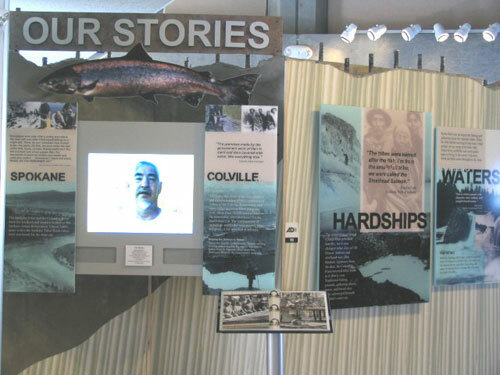 This small display is all one finds at the Visitor Center. 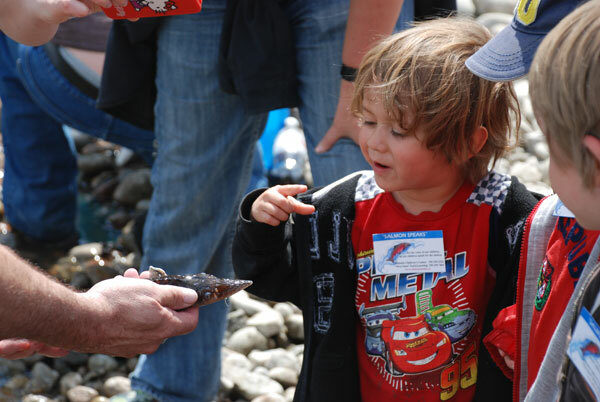 Families came from near and far to catch their year's supplies of salmon. They travelled from as far away as Alberta and Montana. 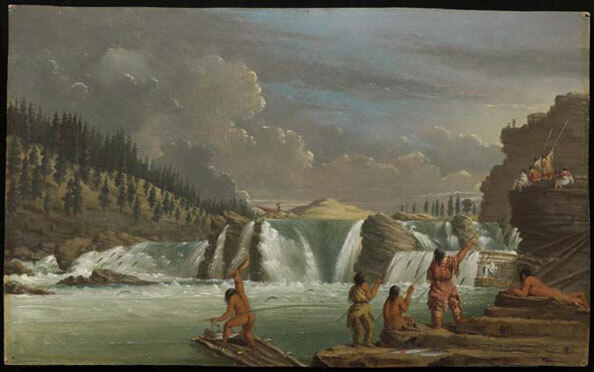 In 1940, aboriginals gathered at Kettle Falls for three days in a “Ceremony of Tears” to mourn the loss of their ancestral fishing grounds. To this day Henry "Hobo" Stensgar makes this journey and continues his tradition. "Catch the first fish and give it away." Then he takes home the next fish to share with his family. The leftovers he returns to the river with prayer and singing. "You tell your children... clap the rocks together, sign to them. They will hear and one day they will come." 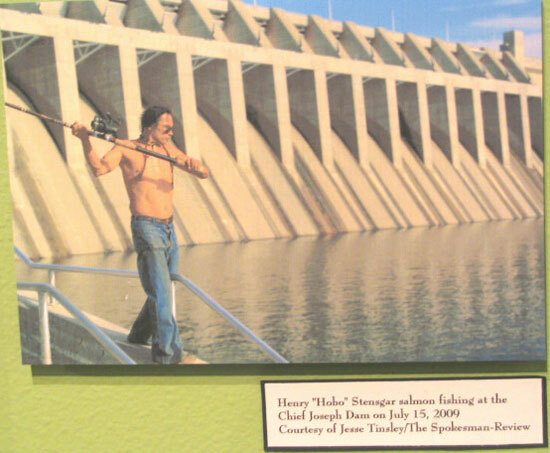 Caption: Henry "Hobo" Stensgar salmon fishing at the Chief Joseph Dam on July 15, 2009. To make their way back to their home. Great wild salmon! Oh, great wild salmon! We need to help you. Then their babies can start their own journey. 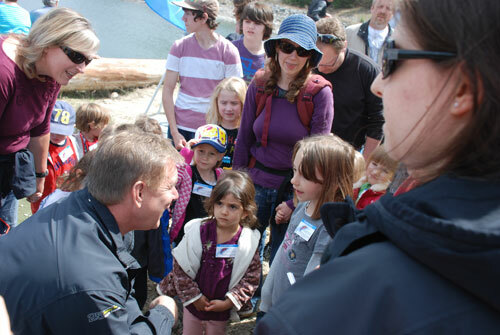 We met Rick Hansen and told him about our SalmonSpeaks. He is trying to help the sturgeon just like we are trying to help the salmon. Rick: "I'm so happy to hear that. Did you know that the sturgeon need the salmon too?" Children: "Everyone needs the salmon!" We are sharing our story with the elementary school children in our area. We are beginning to teach them our song. 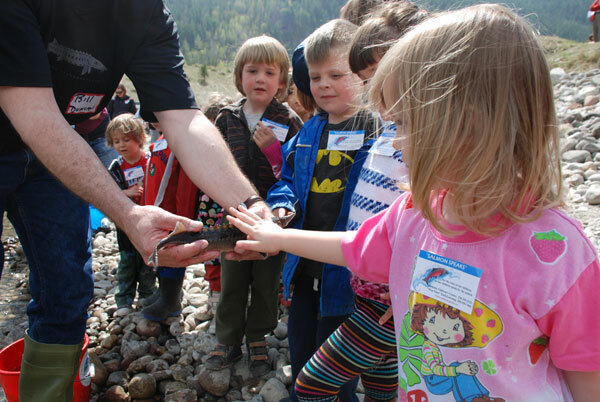 We have been the topic of conversation with fish and wildlife people from Washington state: "Young Canadian children who came to Grand Coulee Dam to protest the loss of the salmon." Columbia River Treaty is big news now. They know about us and our project.